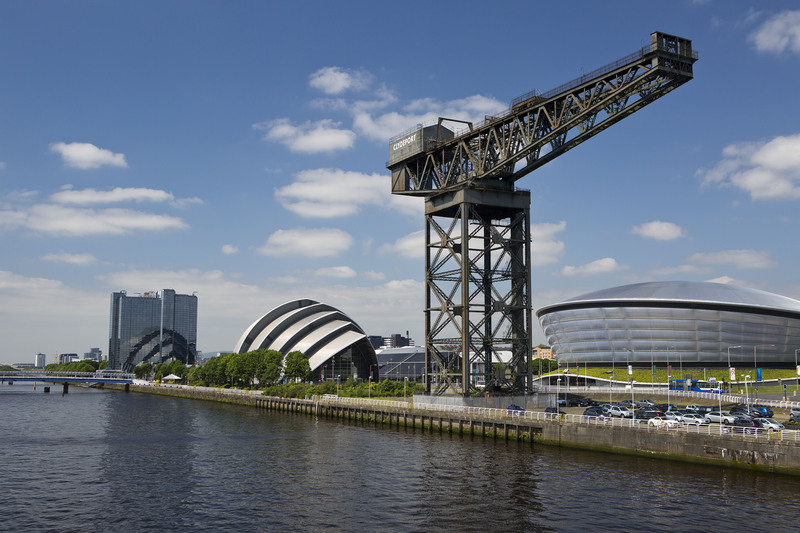 Glasgow is the largest city in Scotland and one of the UK’s major cities for commerce, education and arts. Recognised as a national cultural hub, this thriving city offers limitless opportunities for students. 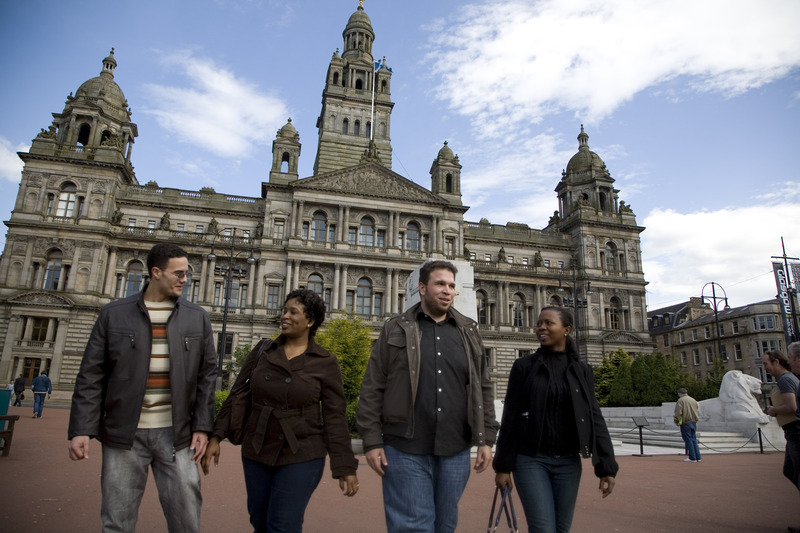 They say that ‘People Make Glasgow’ – but why not let Glasgow make your study abroad dreams come true? With three universities, it has a vibrant student community – living in Glasgow will never be boring. There's always something new to try in a city packed with museums, shops, art, music and culture. As there's so much to do and see in Glasgow, the city received an amazing 99% INTO student satisfaction for the local area in the INTO Annual Student Experience Survey 2018. GCU's campus is in the heart of city centre among plenty of cool restaurants, unique gastropubs and magnificent historic buildings. Glasgow is famed for its shopping – the 'Style Mile' is an area around Buchanan Street that has everything from independent shops to high street stores. Merchant City is where you'll find the Gallery of Modern Art, while Finnieston is the trendiest part of the city, known for its hipster bars and varied food options. Glasgow’s slogan emphasises what the city is all about: its people. People Make Glasgow home – and its international citizens play a big part of that. Forget the Scottish cultural stereotype of tartan – Glasgow has paved its own way. Known for its innovative architecture and abundance of museums and art galleries, this is a place that moves new concepts forward globally. According to The New York Times’ ‘52 places to go in 2018’ list, Glasgow is an unmissable trip to tick off your bucket list in your lifetime. The city has the ideal balance between bright city lights and countryside life. Just south of the River Clyde, you'll find Glasgow's biggest green space: Pollok Country Park. East End. Glasgow's 'creative quarter' is home to the Barrowland Ballroom, the Emirates Area and Celtic Park. North Glasgow. Enjoy open spaces here – walk along the canal trail of Speirs Wharf and take part in water sports. Southside. For football fans, head south of the River Clyde to find Scotland's national stadium, Hampden Park. West End. Head to Kelvingrove Park for big events or to the Botanic Gardens to embrace natural beauty. Finnieston. Discover The SSE Hydro – Scotland's largest entertainment venue that hosts music and comedy gigs. Merchant City. Explore stunning architecture such as The Corinthian Club – an incredible Grade A listed building. Fancy a night out with your new friends? You're in luck – there are hundreds of pubs, clubs, restaurants and live music venues! Favourites include Oran Mor and Bloc. If you’re a film fan, there are so many cinemas to choose from that show mainstream or arthouse films. Enjoy stand-up comedy? Head over to The Stand Comedy Club for a fun evening. Challenge your friends to games of bowling, laser tag or a race around the indoor go karting track if you're looking for something active to do. Join the ARC by campus to keep fit in the gym and take a yoga, boxercise, spinning or dance class. If you're more of a spectator, Glasgow is home to three professional football teams: Celtic, Rangers and Partick Thistle. Head to the Emirates Stadium to watch indoor sports such as athletics, netball and basketball, or go to Celtic Park to watch Celtic FC play. Few things are more comforting than your favourite meal from home. Because Glasgow has such a cosmopolitan community, you'll find great foods from all over the world here. In the heart of the city, you’ll find Sauchiehall Street. This is the best place to go to celebrate international foods on any budget. You’ll find a choice of Chinese, Indian, Thai, Japanese, Italian, Spanish and British restaurants there. For students with special diets, you can also find halal, kosher, vegetarian and vegan options in the city centre. Just a 5-minute walk from campus, you’ll find an Asian supermarket. If you’re missing your mum’s goat curry, head to the African Caribbean Centre on Osborne Street. You'll find everything you need in the shops in Glasgow. 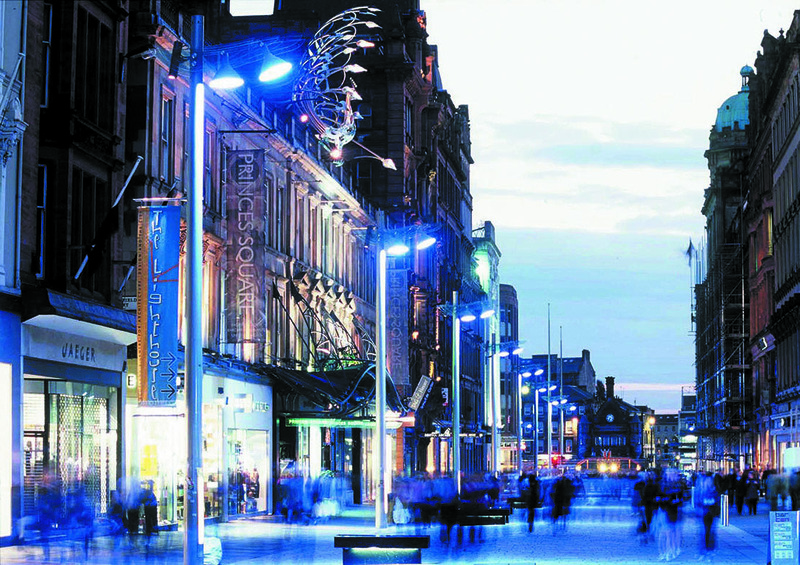 Its main high street, Buchanan Street, has over 40 shops and three shopping malls. For something fancy, head to Merchant City. Here, you'll find high-end boutiques, bars and restaurants, and the Italian Centre. Sauchiehall Street is filled with shops, bars, cafés and restaurants, or for something a little more quirky, you'll find independent bookshops, antiques and vintage clothing shops in the West End. There are also two markets in the city: the Glasgow Farmers' Market in South Side and West End, and The Barras – an open-air market in the East End. Although it’s Scotland’s largest city, it’s easy to get around on foot. Everything you need is in easy reach of the campus. Buses and trains run frequently and there are discounted tickets available for students. The Glasgow subway is a quick and easy way to get around the city, travelling in one big circuit around the city centre and west end of Glasgow. It has 15 stations and runs every 5 minutes at peak times. Glasgow is a great base for exploring the rest of the UK. The nearest airport is located just a 15-minute drive from the city centre, making it easy to catch a short flight to destinations all over the UK and beyond. If you'd like to stay in Scotland, Edinburgh is the capital city and a popular destination – hosting the famous Edinburgh Fringe Festival and a wealth of other events every year.